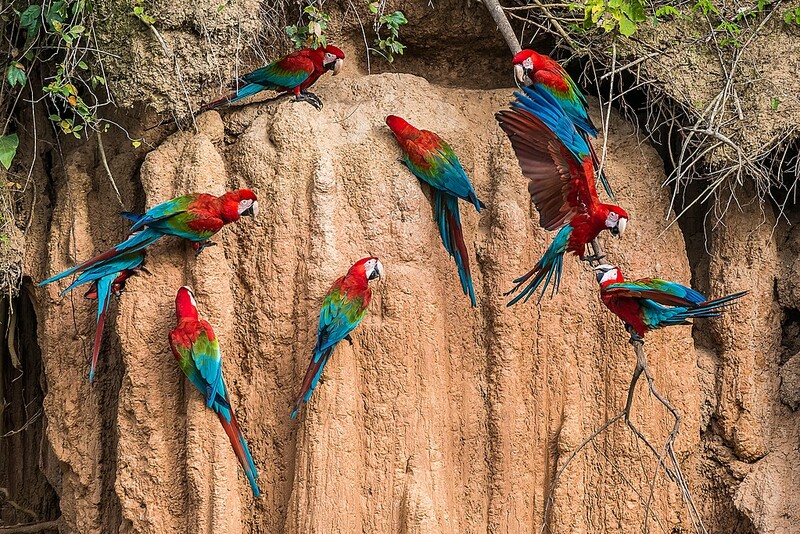 Peru is richly endowed with natural beauty and diverse wildlife. Many of its mythic sites are firm fixtures on the tourist trail. 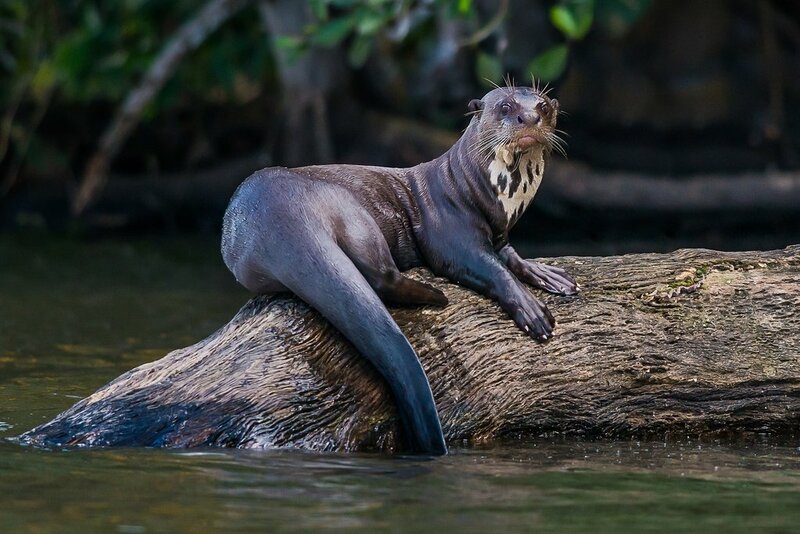 To escape the crowds, you can visit a remote nature reserve with unparalleled biodiversity: Manú National Park. 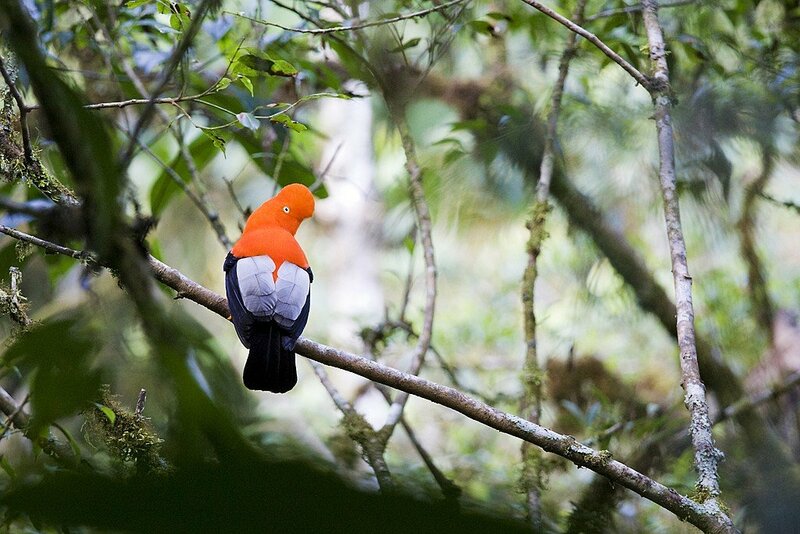 Manú is one of the most biodiverse areas on the planet, home to more than 1,000 species of birds and 300 species of trees. It's also home to various indigenous groups. Peru is doing as much as it can to preserve the area, and now Manú is under protection. Manú National Park is divided into three "zones": the Core Zone is only accessible to scientists and researchers, the Reserved Zone is the tourist area, and the Cultural Zone is home to many indigenous communities. To enter the Reserved Zone you’ll need to go on an organized tour, which our experts can arrange. These tours last several days, but they're worth it. Manú is not as well-known as Amazon mainstays like Puerto Maldonado or Iquitos, however, it is starting to gain popularity, so you’ll want to visit now before it’s on everyone's bucket list. Manu’s remoteness is part of its attraction. Just know that when you’re deep within the park, you’ll be cut off from the rest of the world with little in the way of phone service and no internet access at all. Some lodges have charge points, so you’ll be able to keep your phone on you for photos; just don’t expect to upload them to Instagram until after your trip. With the Amazon jungle right outside your door, this is a genuine frontier destination. Your eco-lodge accommodations, while nice, won’t exactly be luxury resorts. Expect single rooms, few amenities, and, frequently, no hot water for showers. Tours are all-inclusive by necessity. There's nowhere along the way for you to wander off and no restaurants to grab a meal. Expect to be in close quarters with the people on your tour, or, if you book a private tour, with your guide. But that's all part of the fun. Most travelers to Manú make lifelong friends, bonding over their shared time in one of the world’s most remote places. Concerning vaccines and medicines, although Manu is free of malaria, you should still travel with insect repellent, long-sleeve shirts, and long pants (although you will be sleeping under mosquito nets at night). Your guide should be up-to-date on any yellow fever outbreaks, but it is still recommended to get a yellow fever vaccine 10 days before your trip. Also, travel with any and all medications you may need for your journey. Be aware that doctors and hospitals are not easily reachable in an emergency. This large, tranquil lake in Manu’s Reserved Zone is best known for its population of giant river otters, but it’s also a great place to spot capybaras, caimans, and plenty of monkeys and macaws. Your guide will lead you out by boat so you can get up close and personal with these animals (the safe ones, at least), so stay silent for the best chance to spot them. Another lake in the Reserved Zone, this has all the wildlife of Salvador with one significant advantage: a 50-foot tall observation platform that allows for far-ranging views. Look for those adorable river otters, but also keep your eye out for flashes of color—those are the parrots and toucans fluttering in the air. The towering lupuna trees, hundreds of years old with trunks the size of small houses, are popular in tribal legends. Indigenous people believe they provide shelter and good luck (but they also could be home to evil spirits, depending on whom you ask). One thing’s for sure: you’re unlikely to find a living being this old or this big anywhere else in Peru. Coastal Peru has the Nazca Lines on the way to the Islas Ballestas, but Manú has the mysterious Pusharo Petroglyphs: geometric rock etchings believed to have been created by an ancient Amazonian tribe. Most Manú Tours won’t include this unless it’s requested, but our experts can book a special tour for you that also includes a night in a nearby lodge. Most of the lodges within Manú are small and modest, with a tiny ecological footprint and a strong sense of responsibility to the local environment. 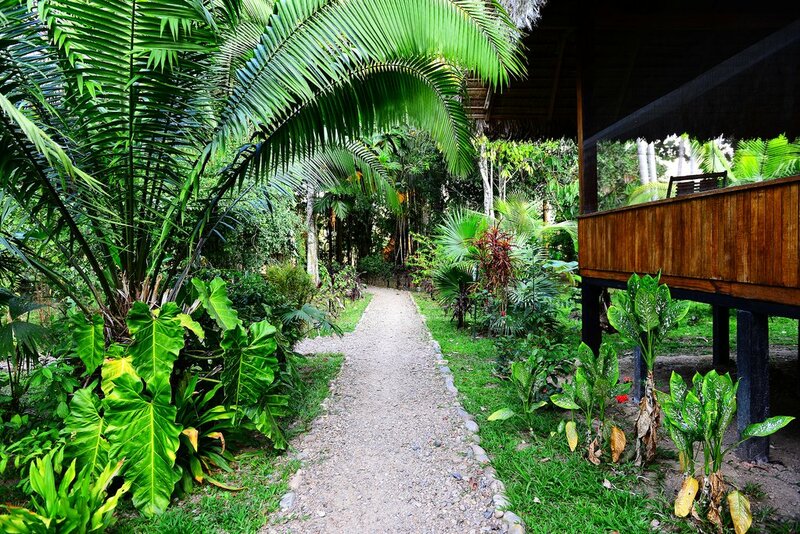 Casa Machiguenga is a sustainable, community-run lodge named after the indigenous Machiguenga people who operate it. It includes simple but colorful rooms with wood floors, solar-powered radio, and a water filtering system that helps keep water drinkable and waste from polluting the environment. 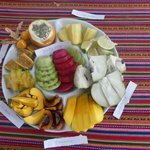 Just beyond the borders of Manú National Park and surrounded by cocoa, coffee, and avocado trees frequented by hummingbirds, Eco Manú Lodge is a sustainable option run by local Amazon families. Bright, colorful rooms in simple bungalows allow for privacy, while a communal dining area facilitates meeting fellow travelers. At the center of Manú National Park, Tambo-Paititi, located in a cloud forest, offers many ways to spot wildlife, whether it's from your private terrace or from the observation deck. Unsure of which species you're witnessing? Head to the lodge's library to do some research. The San Pedro River, just steps away, is a popular spot for swimming, sunning, and relaxation. Manú Paradise Lodge is a more modern lodging featuring comfortable rooms, plus a dining area looking out to the landscapes beyond via floor-to-ceiling windows. It's these views that are the star of the show. Between the Kosñipata and San Pedro rivers, Paradise Lodge sits perched on a rocky outcrop with far-ranging vistas of the valley below. If staying in rustic lodges amid Peru's varied flora and fauna is a serious interest of yours, see our guide detailing the best wildlife lodges in the country. Ready to plan your trip to Manú? Check out these great itineraries. Manú Adventure - 8 Days. Down in the Amazon basin, off the edge of the tourist map, lies Manu — arguably the most biodiverse area in the world. Hike from the high-altitude Andes down into the Amazon basin, float down the river in jungle boats for glimpses of caimans and other wildlife, spend a night on a tapir lookout, and more. Sacred Valley and Manú National Park. Start in metropolitan Lima then continue to the imperial Inca capital of Cusco. Explore 15th-century archaeological sites, zip line through the Sacred Valley, and spend a day exploring Machu Picchu before continuing to the Amazon rainforest. 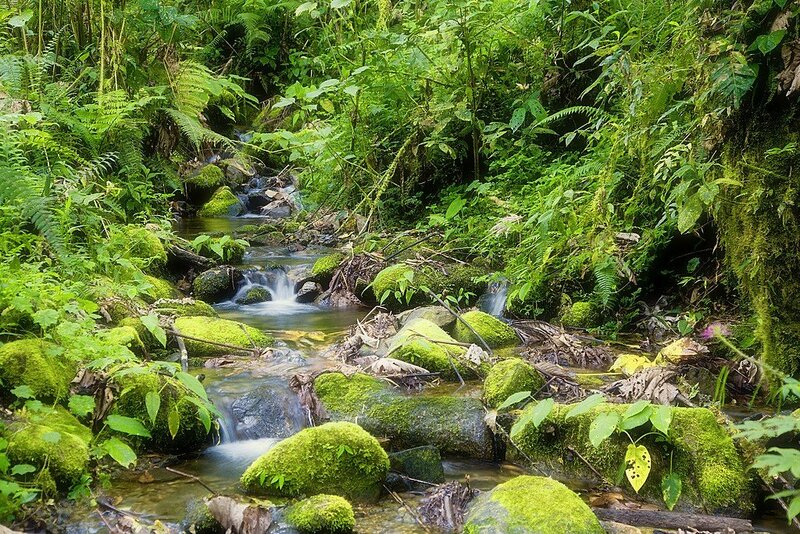 Spend 4 days deep in the Manu National Preserve exploring the jungle and seeing rare wildlife. 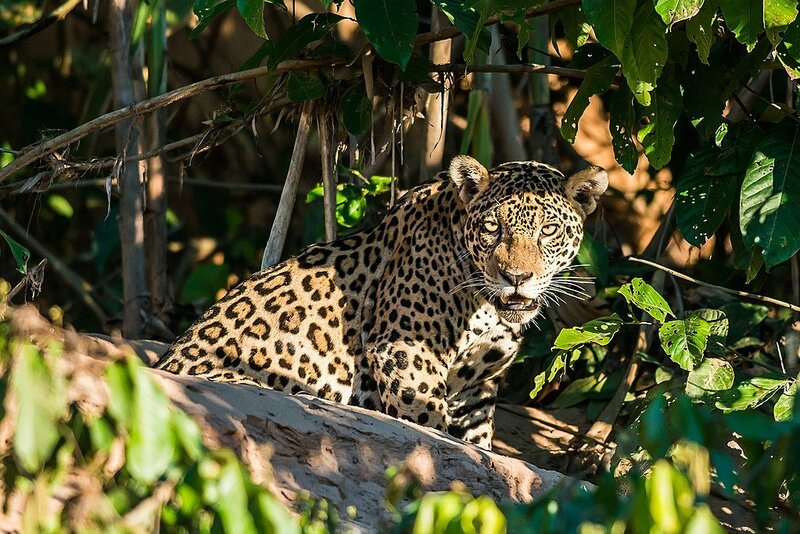 With luck, you might see the reclusive jaguar—king of the Amazon.